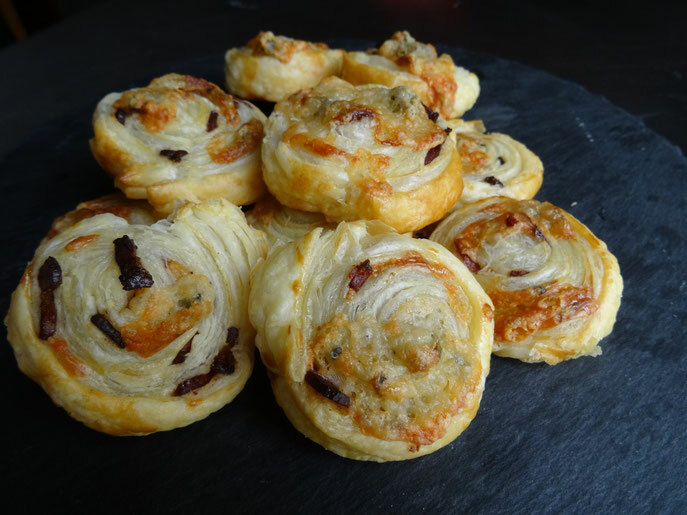 These delicious little nibbles are great for a party. 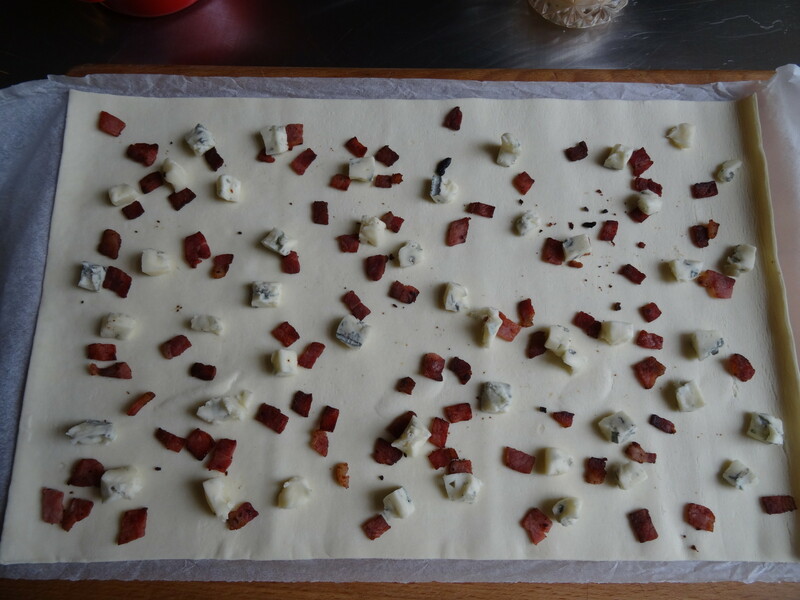 I've used Gorgonzola but you can use whatever blue cheese you like. 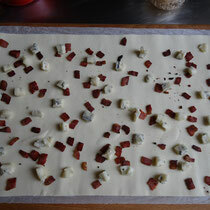 Lay the pastry out on a board & scatter over the bacon & then the cheese. 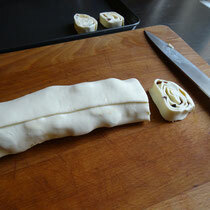 Roll up the pastry from the short end as tightly as you can, it will be lumpy but don't worry. 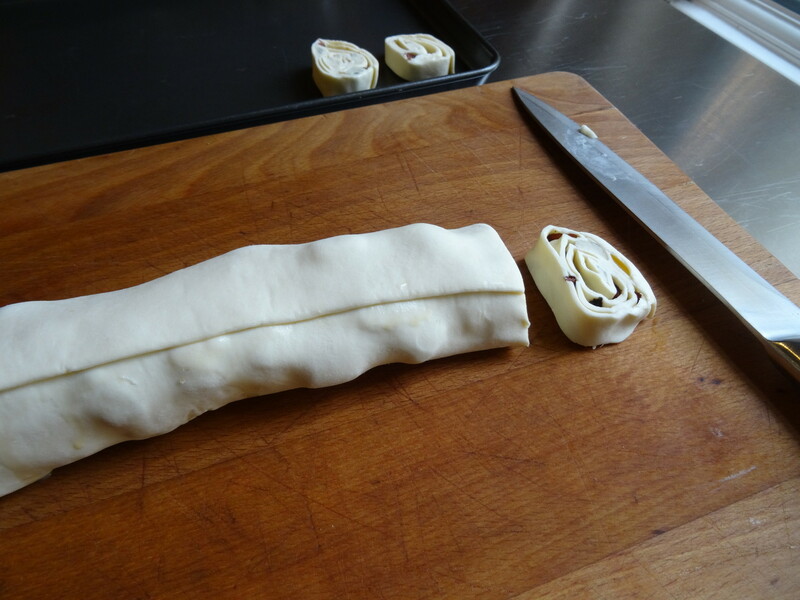 Brush the end of the pastry with egg to seal. 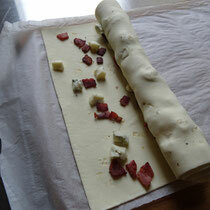 Slice the roll into rounds approximately 1cm thick & place on a baking sheet. 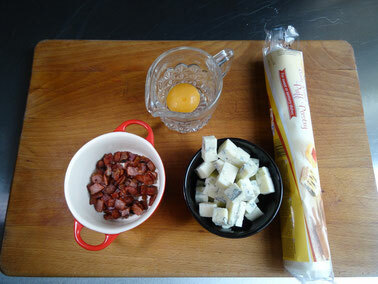 Brush with egg. The bites can be served hot or cold. 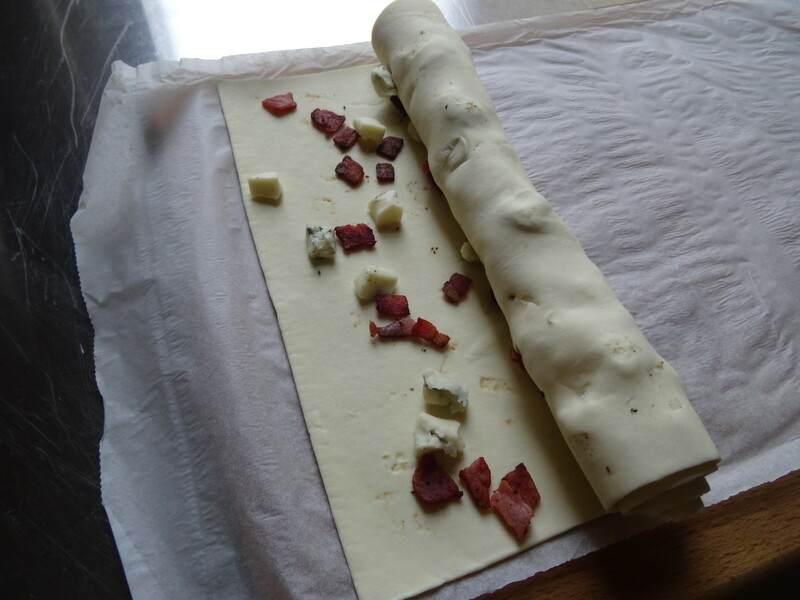 Make them ahead & re-heat them by simply wrapping them in foil & placing in a low oven (about 140Fan/160C/Gas3) for 10 minutes!